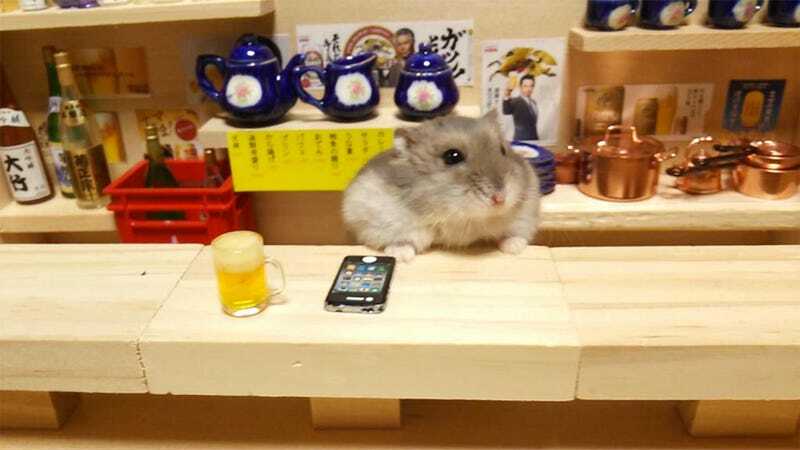 Pass it on: hamsters are the hot new mixologists. Pretty sure bars in Williamsburg, Silver Lake, and the Mission will be crawling (literally!) with these little guys. Throwing cherries in Manhattans and recommending Yamazaki Single Malt for your evening indulgence. It's like Ratatouille, but CUTER. Yeah, I said it.